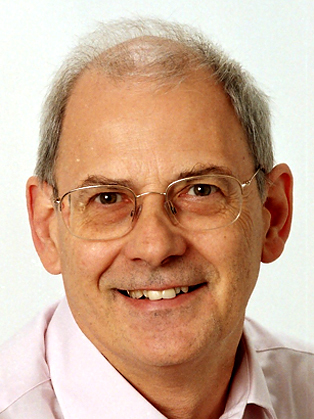 Professor David Clutterbuck is one of Europe's most respected writers and thinkers on leadership, coaching and mentoring. He has written nearly 50 books and hundreds of articles on cutting edge management themes. He is co-founder of The European Mentoring and Coaching Council, and founder of the thriving international consultancy, Clutterbuck Associates, which specialises in helping people in organisations develop leadership and coaching skills to help others. David is perhaps best-known in recent years for his work on mentoring, on which he consults around the world. His 12 books on mentoring and coaching include the classic Everyone needs a mentor, as well as Learning Alliances, Mentoring in Action, Mentoring executives and directors, Techniques in Coaching and Mentoring, and Making Coaching Work and Coaching Teams at Work. David has been responsible for the implementation, monitoring, and evaluation of highly successful mentoring and coaching programmes in numerous organisations around the world, including Standard Chartered Bank, Goldman Sachs, Lloyds-TSB, World Bank and Nokia. David has worked with the Audit Commission in the UK, implementing a diversity mentoring programme that is now in its fifth phase. He also researches, publishes and consults widely on Board performance and behaviour; and is currently investigating why succession planning so often doesn’t work. The link between these interests is the critical importance of dialogue, between individuals, and between them and the organisations, in which they work. He has helped hundreds of senior teams across the world find the Massively Difficult Questions that lead to deeper understanding of themselves and their businesses. David was listed as one of the top 25 most influential thinkers in the field of Human Resources by HR Magazine, and was described by The Sunday Independent as second in the list of top business coaches in the UK. He is an Honorary Vice President of the European Mentoring and Coaching Council. He is visiting professor at both Sheffield Hallam University and Oxford Brookes University and is active in a charity he co-founded to develop new ways of using mentoring-style approaches to support young people with learning or social disabilities.